Koyasan Japan – Mount Koya (also called Koyasan), both a sacred mountain that also acts as an important pilgrimage site for followers of Shingon Buddhism, is one of Japan’s most significant and well-known religious establishments. Devotees, as well as anyone and everyone who is interested in learning more about the Shingon Buddhism monk’s lifestyle are able to experience it through an overnight stay at one of the plentiful temple lodgings (also known as shukubo) on the mountain. This activity has grown exponentially in popularity as of late. However, if you’re curious but am not sure that you want to lodge on the mountain, it is possible to visit Koyasan as a day trip also. On the contrary to day trips that usually consist of passing through a town or a city, this site is full of historical temples that you can spend hours exploring, Buddhist activities that you can participate in to get a better understanding of their lifestyles, and pilgrimage trails that offer between one to seven hours of peace and tranquility amongst the harmonious surroundings of nature. Experiencing Koyasan has always been one of those ultimate to-do activities for Japanese people. It wasn’t post 2004 when it became an addition to the UNESCO World Heritage List that its popularity began to boom across the globe. Due to the sheer number of foreigner visitors, most of the temples have adapted to their needs, and whilst they still strictly adhere to certain ancient traditions, such creature comforts as Wi-Fi and even beer are available at some Shingon’s, signifying that this is the age in which old rituals collide with new technology to co-exist in harmony. Koyasan Japan (Mount Koya) – How to get there? 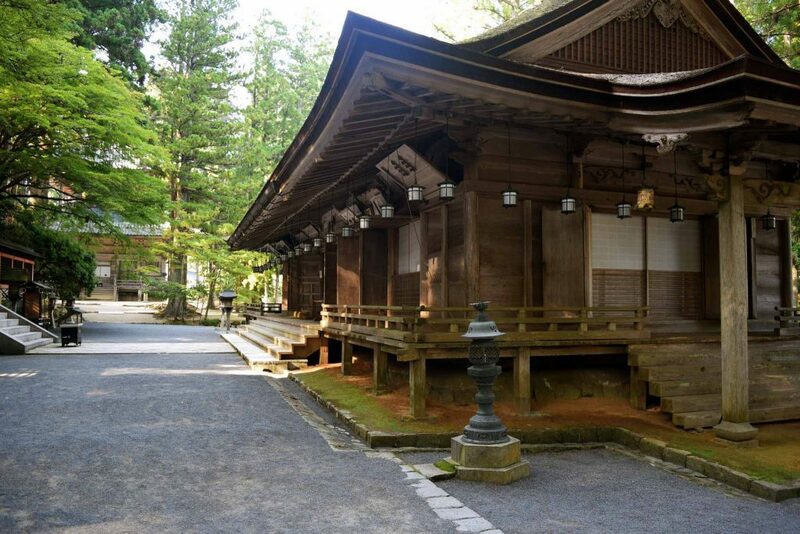 Koyasan exists on the beautiful forests of the Kii Peninsula, roughly 50km away from Osaka. If you plan ahead, you should be able to reach Koyasan with no issues, as there are transport methods that will take you directly to the site. From Osaka’s Namba Station, there are four round-trip Limited Express trains operated by Nankai Railways that go to-and-from Gokurakubashi Station daily (it will take roughly 80-minutes, and will cost 1,650 yen). These are direct trains. However, if you miss them, you can also take a rapid express train to Gokurakubashi Station that departs every 20-30-minutes, but you will need to transfer to another train at Hashimoto Station (this option should take around 100-minutes and will cost 870 yen). Once you reach Gokurabashi, hop onto the cable car which is located near the station, which will take you up the mountain to Koyasan. This ride should take only 5-minutes and will cost 390 yen. Once you alight at the top of the mountain, you will then need to hop onto a bus that will take you to the town centre, where most of the shukubos are located, which will take roughly 10-minutes and cost 290 yen. From the town centre, if you are planning to just explore Koyasan on a day trip, you will be able to access most of the attractions. To save money on transportation, you can use a Kansai Thru Pass if you plan to travel in the Kansai area. Koyasan Japan (Mount Koya)– Where should you stay? 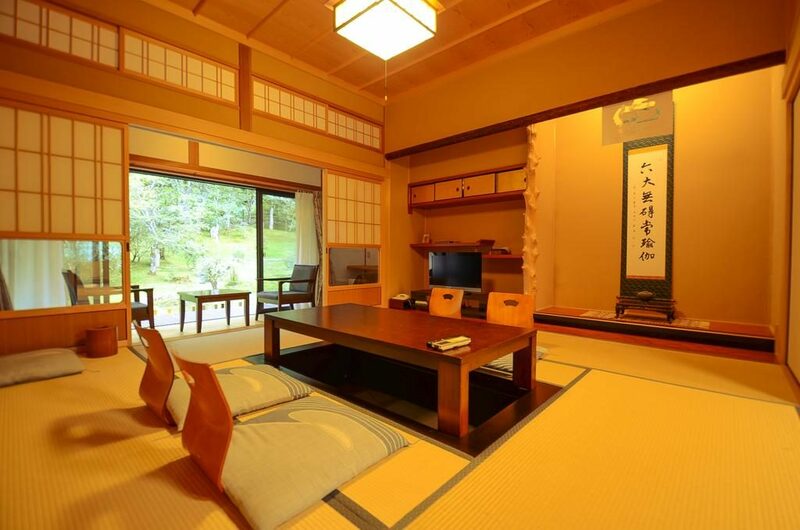 As one of the most popular shukubos on Koyasan, it’s a good idea if you’re planning to stay here to book ahead. Lodging here could mean waking up at 6am for a delicious breakfast of shojin ryori (a vegetarian Buddhist cuisine made entirely of vegetables and edible wild plants), participating in meditation, observing monks during chanting, and exploration of the grounds throughout the day. Guests all reside in stunning traditional ryokans, with comforts such as air-conditioning and a flat-screen TV to ensure you’re not missing the outside world too much. 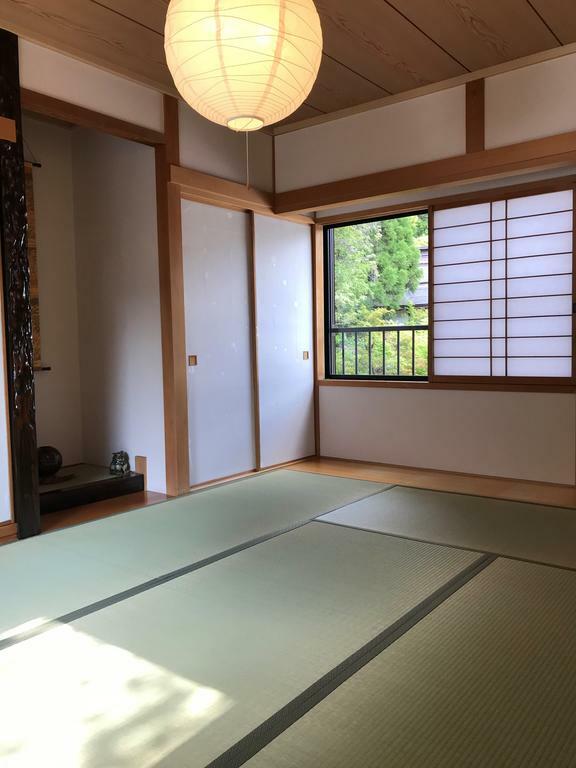 Why Guests Love It: “The experience of being among the monks, the opportunity to attend the morning prayer with them and the AWESOME shojin ryori dinner, one of the tastiest of our 1-month trip in Japan”, “Beautiful, clean, peaceful. The friendly monks provide great and unobtrusive service. Room was spacious and food was great. Memorable experience”, “Really quiet place just a bit off the road. The room is beautiful and clean. The food was amazing. Probably my favourite part of the stay”. Another exemplary shukubo to consider is Shukubo Jokiin, a highly rated accommodation option amongst many of the visitors to Koyasan. Like Fudoin, this place offers the peace, serenity, and tranquility of a historical temple located in the mountains whilst still maintaining a connection to the modern world with flat-screen TVs and free Wi-Fi throughout the property. For your convenience, there’s even a free luggage storage service if you’re arriving early or would like to continue checking out the area after you’ve checked out. Why Guests Love It: “Nice experience to have a vegan dinner in the room. Wonderful morning ceremony. You definitely have to try it”, “The staff were super delightful and spoke beautiful English. I’m not one for futons, but the room and futon was so clean so it worked for me fine. The grounds were gorgeous as well!”. 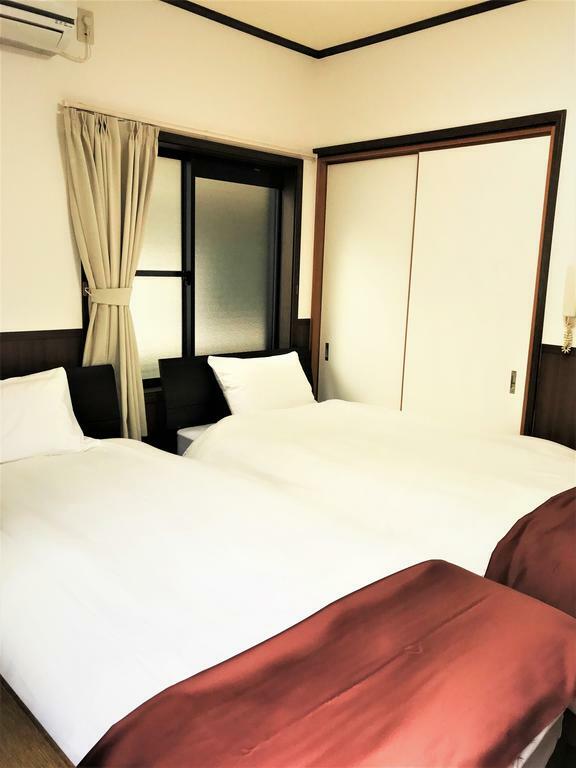 For those who want to explore Koyasan but are looking for a more budget-friendly accommodation, Guesthouse Tommy is the perfect alternative to the more elegant shukubos. Whilst it may not command the same allure as the ryokans in the shukubos, this guesthouse features all the comforts you require to have a pleasant, relaxing stay. Free Wi-Fi is available throughout the property, and all guesthouses feature air-conditioning, a desk, private bathroom, and free toiletries. A continental breakfast is available at the accommodation daily. This is a great place to stay if you’re more about the pilgrimage hikes and temples viewings rather than immersing yourself into the Buddhist monk lifestyle. 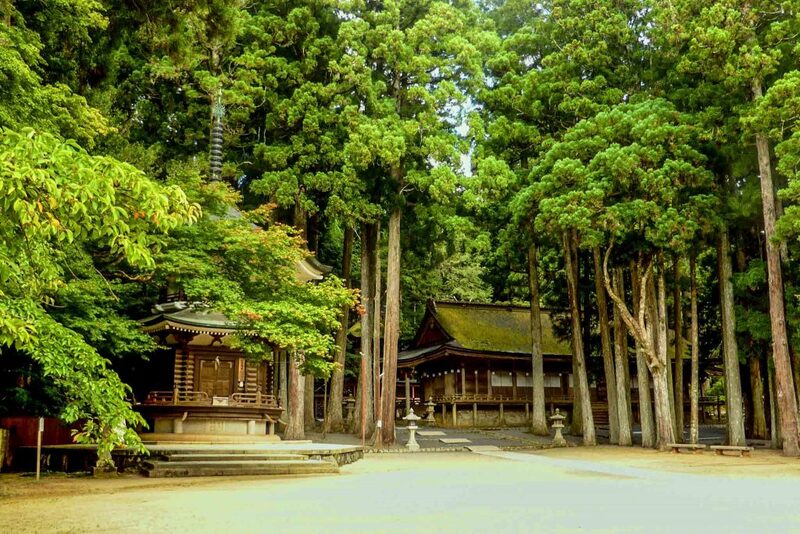 Whilst it may seem a bit dark, a visit to Okunoin Temple, which hosts the mausoleum of Kobo Daishi (also known as Kukai, the founder of Shingon Buddhism and one of Japan’s most significant religious figures). 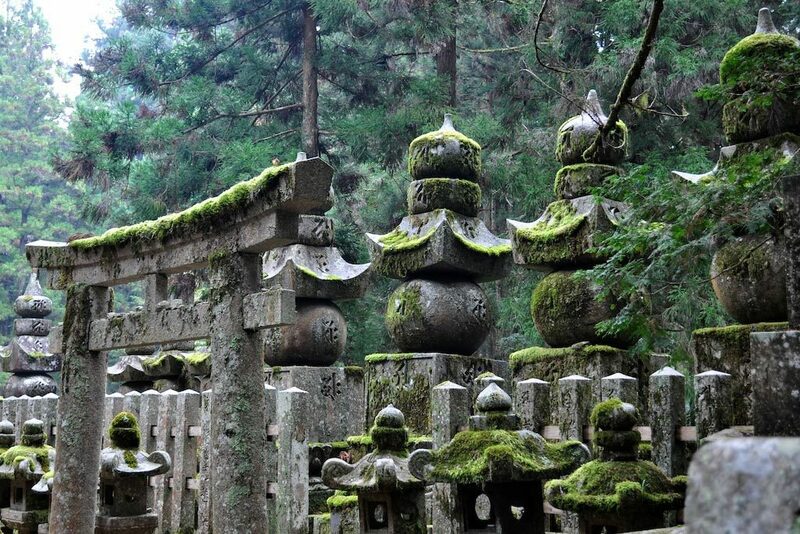 Within the temple grounds lays Okunoin’s cemetery, the largest in Japan, housing over 200,000 tombstones stretching almost two kilometres towards the mausoleum. 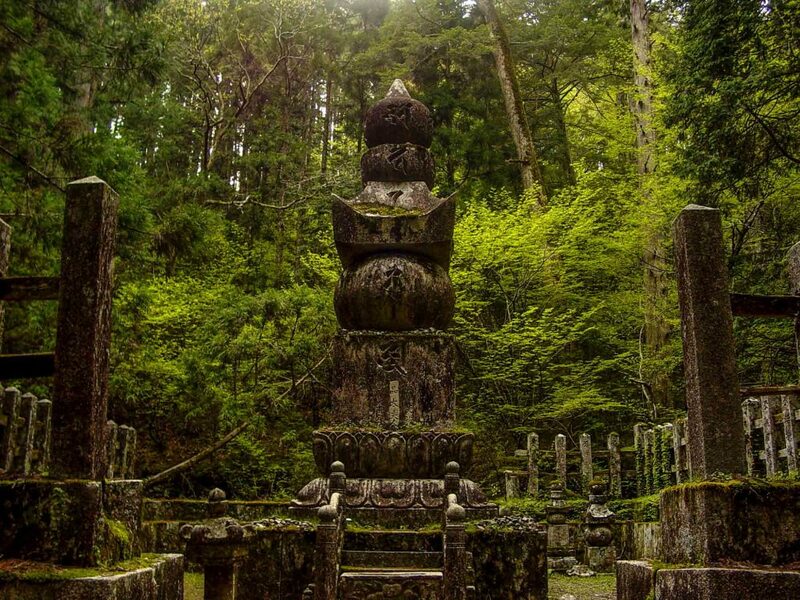 Throughout history, many other significant figures expressed desire to be buried near Kobo Daishi, and thus have had their tombstones erected there. It is important to note that the Ichinohashi Bridge signifies the traditional entrance to Okunoin, and thus people need to pay respects by bowing to Kobo Daishi before crossing over it. However, these days, instead of taking the main traditional entrance and walking along the two kilometer route, visitors usually just head to the Okunoin-mae bus stop and start their trek from there. This route takes almost half the time of the traditional route, and will take people through the more recent unconventional tombstones, such as the one erected by a pest control company as a memorial for all the termites they’ve exterminated. Both paths lead up to the Gokusho Offering Hall which is near a row of statues depicting Jizo, a popular Bodhisattva (which is a person who is believed to be able to reach Nirvana, but delays this out of compassion for suffering beings). Visitors normally make offerings here and also throw water at statues, an act known as Mizumuke Jizo, to pray for departed family members. From there onwards, there are many areas to visit within the Okunoin temple grounds, including the Torodo Hall (the hall which has more than 10,000 lanterns), which is Okunoin’s main hall for worship, Kobo Daishi’s Mausoleum, the site of Kobo Daishi’s eternal meditation, and the famous Miroku Stone, a stone which sits in a cage, and it is said that visitor’s are challenged to lift the stone through the cage using only one hand – the stone will feel lighter for good people and heavier for bad people. Please note that beyond crossing Gobyonohashi Bridge behind Mizumuke Jizo, photography, food and drinks are forbidden. Access: The traditional entrance to the temple grounds, which offers the two kilometer trek towards the mausoleum, begins at Ichinohashi Bridge, which is a 10-15-minute walk from Senjuinbashi intersection at the town centre. The Okinoin-mae bus stop offers the shorter route, and is the final bus stop of the bus line that connects Okunoin with the Senjuinbashi intersection at the town centre (410 yen, 20-minutes). Arguably one of the most popular activities to do whilst visiting Koyasan is participating in the pilgrimage trails with the many other hopefuls hoping to find some enlightenment whilst doing so. Many of the pilgrimage trails lead from the bottom of the mountain to where Koyasan resides, however most visitors choose to head up via the cable car these days. The main (and most traditional) trail leading to Koyasan is called the Choishi Michi trail, which begins at Kudoyama Station. The entire trail is roughly 23.5km long, and will take the average person between 7-8 hours to hike. Don’t worry about getting lost, because every few hundred metres there should be a signpost to mark the trail. You can reduce the trail length and time by skipping the beginning and beginning at Kami-Kosawa or Kii-Hosokawa Station. 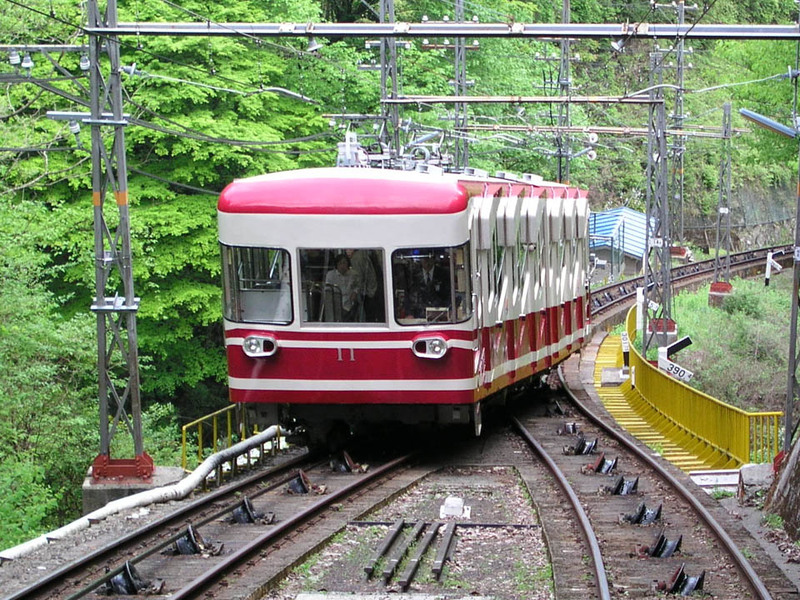 Another route that can be taken is the Fudozaka Trail, which begins at Gokurakubashi Station, which is the lower station of the Koyasan Cablecar. The trail (considerably steeper than many others), is 2.5km long, and takes roughly one hour to reach the end, which is where Fudozaka-guchi Nyonindo temple hall is. The Women Pilgrim’s Course, named after the seven Nyonindo (“woman halls” that were literally built for females because they were banned from entering the temple town before 1872), structured around Koyasan’s perimeter, is a 7km long trek that takes 2.5 hours to complete. It starts from the Fudozaka-guchi Nyonindo, and runs past the ruins of the other Nyonindo before finishing at the entrance of Okunoin. Lastly, for those who are after a challenging adventure, the Kohechi Trail, which is part of the famous Kumano Kodo group of trails, is a long and remote mountainous trail route that normally takes up to a week to complete. For this reason, proper planning of equipment, accommodation, food and drinks, and well-being during the hike is required. 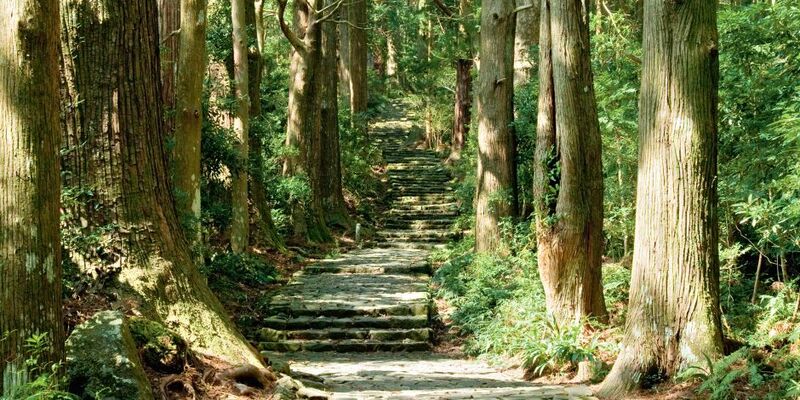 This trail connects Koyasan with the sacred shrines of Kumano. Kongobu-ji Temple is the head temple of Shingon Buddhism, and thus is the most prominent site at Koyasan. 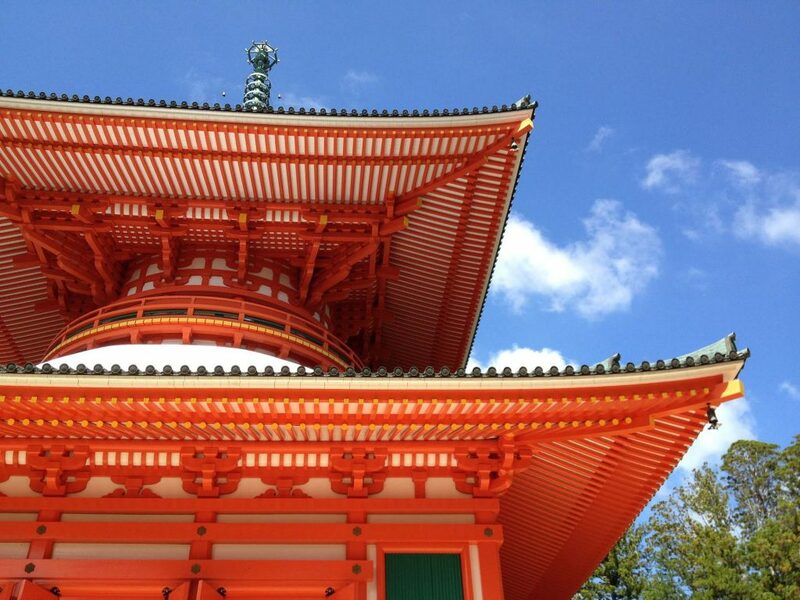 It is as picturesque and quintessentially Japanese as you can imagine of a prominent temple structure. 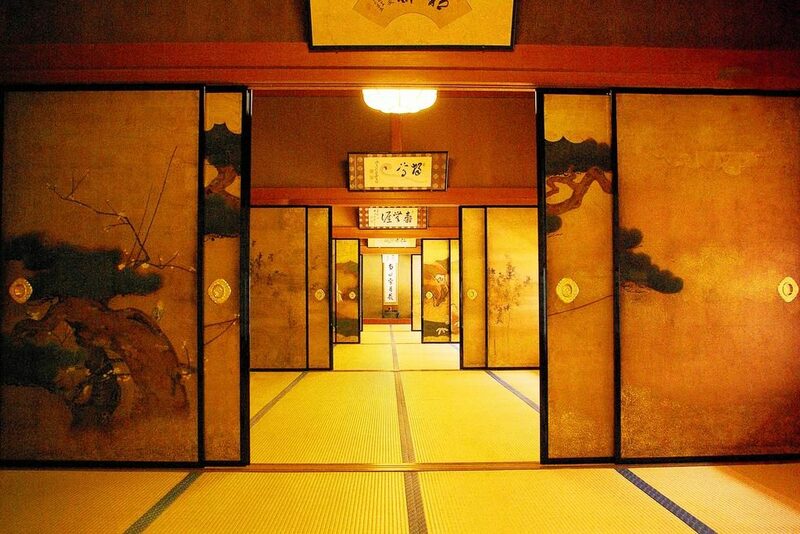 It features gorgeously painted traditional fusuma (sliding doors), and the Banryutei, Japan’s largest rock garden. If you’ve ever wondered about how the Japanese safe-guarded against fires, you will be able to see it here – barrels which collected rainwater to dampen the bark roofing! When you enter the temple, you will need to take off your shoes. The firms room you will come across is the Ohiroma Room, traditional used for important rituals and ceremonies. Here, you will see stunning paintings of cranes on the fusuma. 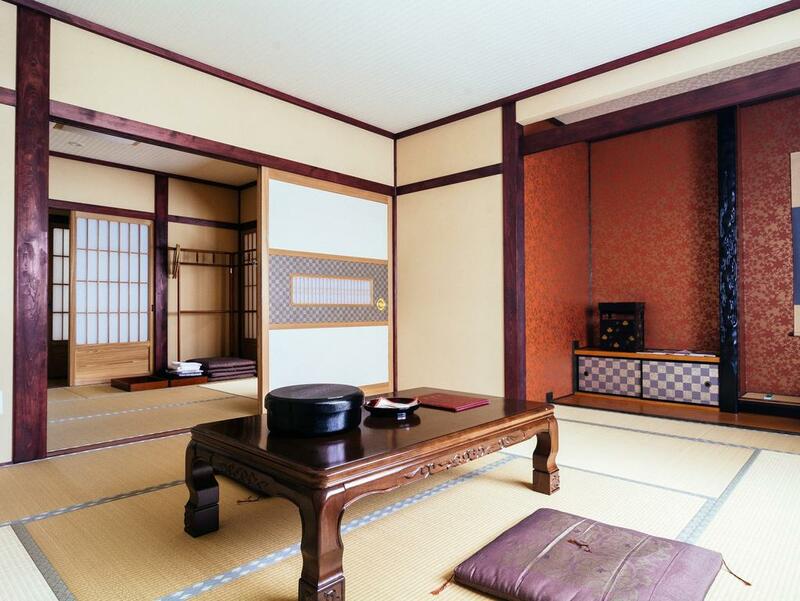 The next rooms are the Plum and Willow Rooms, which depict plums and willows respectively on their fusuma. 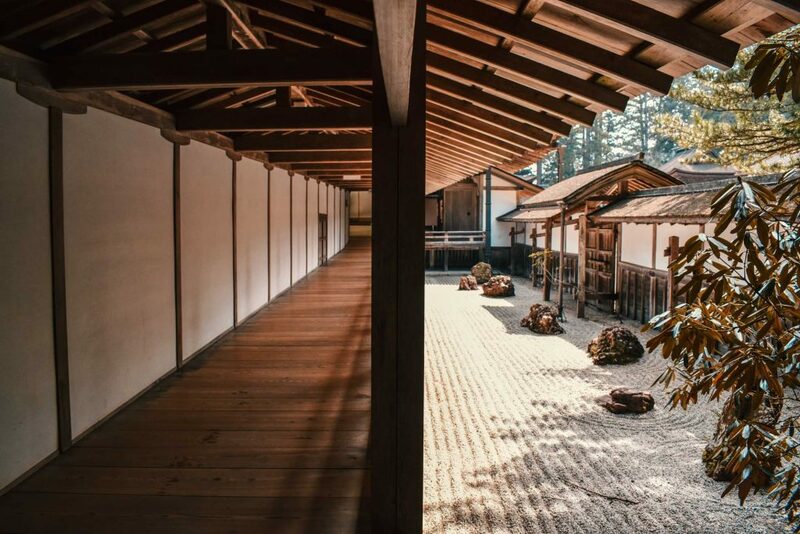 If you continue along the long corridor, you will arrive at a wing that is the most recent addition to the complex, and it’s a place where you can sit down and enjoy some tea and cookies in a large hall on tatami mats. 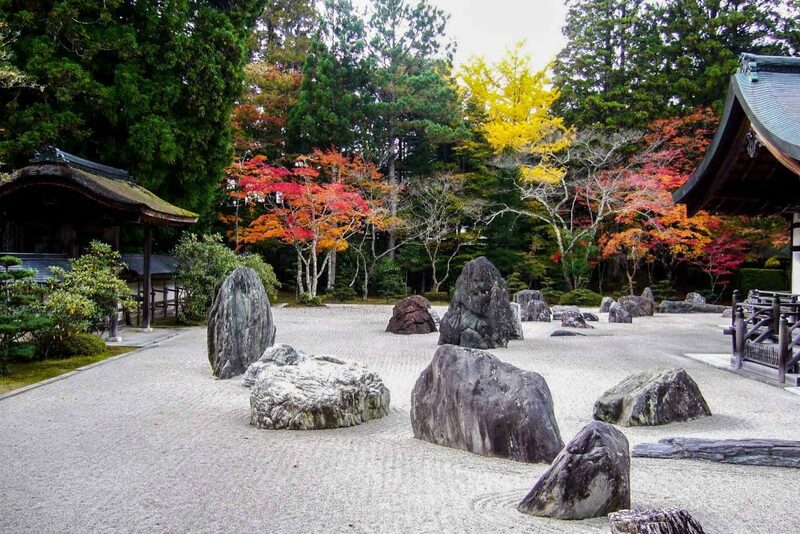 The Banryutei Rock Garden showcase large rocks that were brought from Shikoku, which is the birthplace of Kobo Daishi. If you look closely, it’s meant to represent a pair of dragons emerging from a sea of clouds. The Garan is Koyasan’s central temple complex. There is a legend that says that Kobo Daishi threw his sankosho (a three-pronged Buddhist ceremonial tool) from China towards Japan. Once back in Japan he went searching for it, and found it stuck in the branches of a pine tree on Koyasan, and thus began his construction of the Garan there. When arriving at the Garan, you will notice that the two most prominent buildings are the Kondo Hall, which is a massive wooden temple hall that hosts major ceremonies, and the Konpon Daito Pagoda, which is a 45m tall two-tiered pagoda, housing a statue of the Dainichi Nyorai (Cosmic Buddha), the central Buddha in Shingon Buddhism. Kobo Daishi began construction of both the Kondo Hall and Daito Pagoda, but was unfortunately not around when they were completed. His successors finished their construction, and went on to build the Toto (eastern pagoda), Saito (western pagoda), Miedo (founder’s hall), and Koya Myojin Shrine. Access: Danjo Garan is located within the Koyasan town centre, and is only a 5-minute walk from the Senjuinbashi intersection. 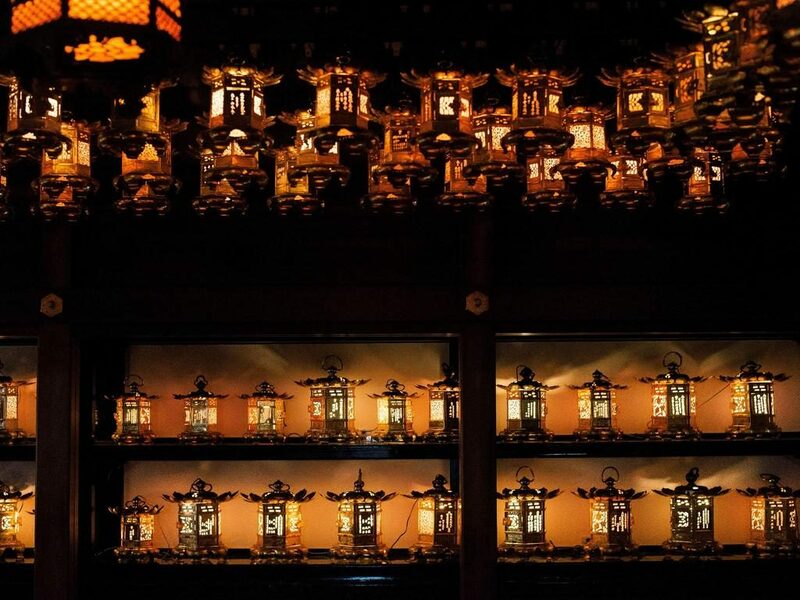 Unlike most of the above, where the visits will reward you with stunning structures and monuments, at the Reihokan Museum, you will instead be able to witness some of the preserved religious and cultural treasures of Koyasan. Expect to see the likes of thousands of religious works of art, including statues, mandala (paintings which represent metaphysical maps of the cosmos), and many other religious tools. One of the most notable pieces of art is a scroll which depicts the “Reclining Image of Sakyamuni Buddha on His Last Day”. Many followers and the curious travel to this museum to witness this artwork. To keep things fresh, there is a seasonal exhibition that rotates throughout the year from the museum’s extensive collection, so you can visit this more than once and will most likely see new pieces. Access: This museum sits within the Koyasan Town Centre, and is a 5-minute walk from the Senjubashi intersection. It is close-by to the Garan and Kongobu-ji Temple. Hours: May – October: 8:30am – 5:30pm, November – April: 8:30am – 5:00pm (admission closes 30-minutes before closing time. This ticket, which can be purchased at the Koyasan tourist information office, covers admission into Kongobuji, the Kondo Hall and Daito Pagoda at the Garan, the Reihokan Museum, and the Tokugawa Mausoleum. It also includes participation in a Jukai service at Daishi Kyokai (the administrative centre of Shingon Buddhism which is responsible for spreading the teachings of Kobo Daishi). It can be used over multiple days. 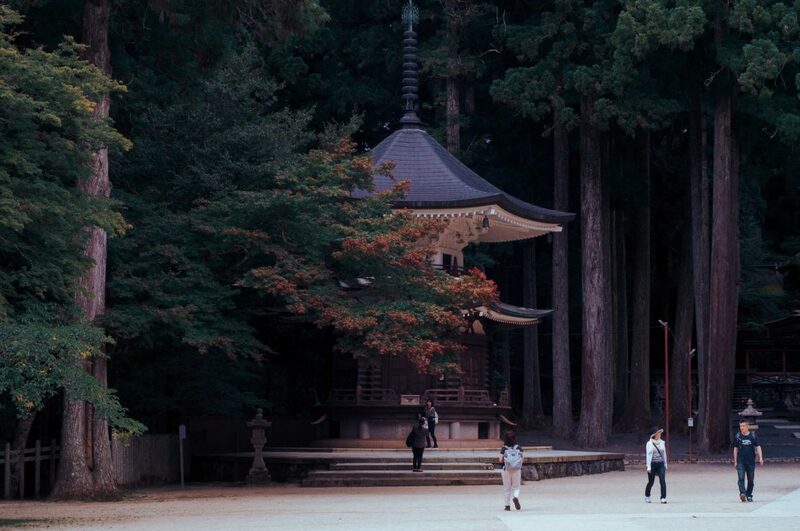 Koyasan, come for the spiritual, traditional, and culture experience of Shingon Buddhism, stay for the stunning temples, rewarding treks, and enriching museums. 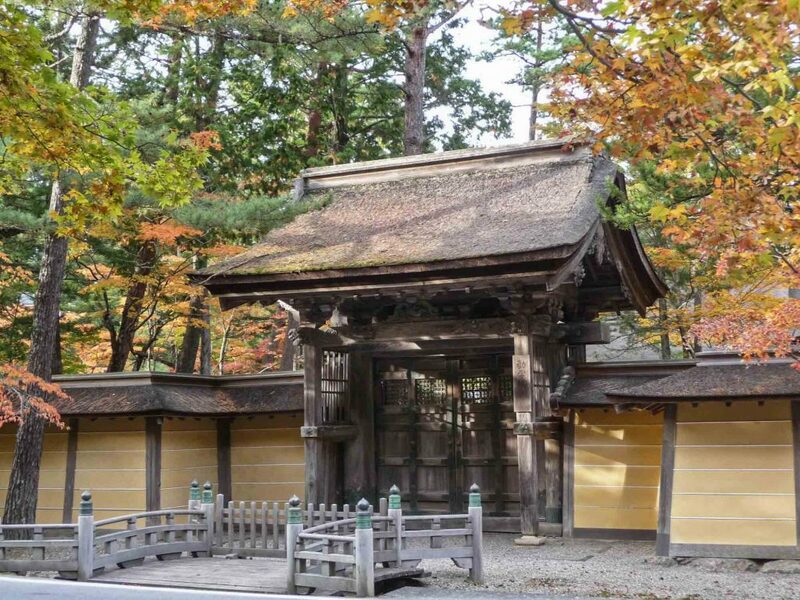 Koyasan is full of history and for those who have never heard of Shingon Buddhism before, it is a great starting point to learn about the religious rich in history. Additionally, religion and history aside, those who are just after an authentic immersive Japanese experience that’s completely removed from modernity and technology, this is your answer.